‘Wonderful, wonderful Copenhagen, friendly old girl of a town’ . . . continues to enchant visitors with tradition and its easygoing personality. But there’s more to explore as its varied and eclectic architecture ­– old and new – stirs ‘for’ and ‘against’ controversy, eventually melding into the visual fabric of the city, just as it always has. 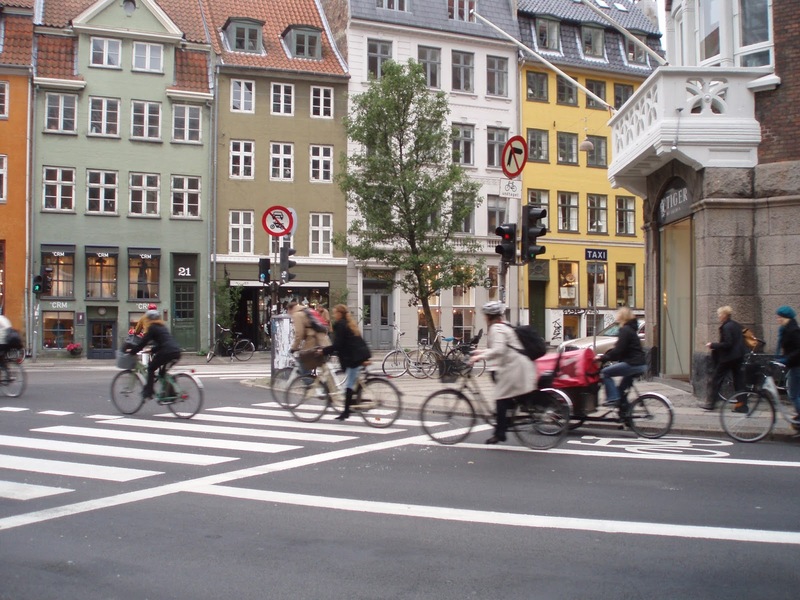 If you’re not walking, boat or bicycle is the way to discover Copenhagen. 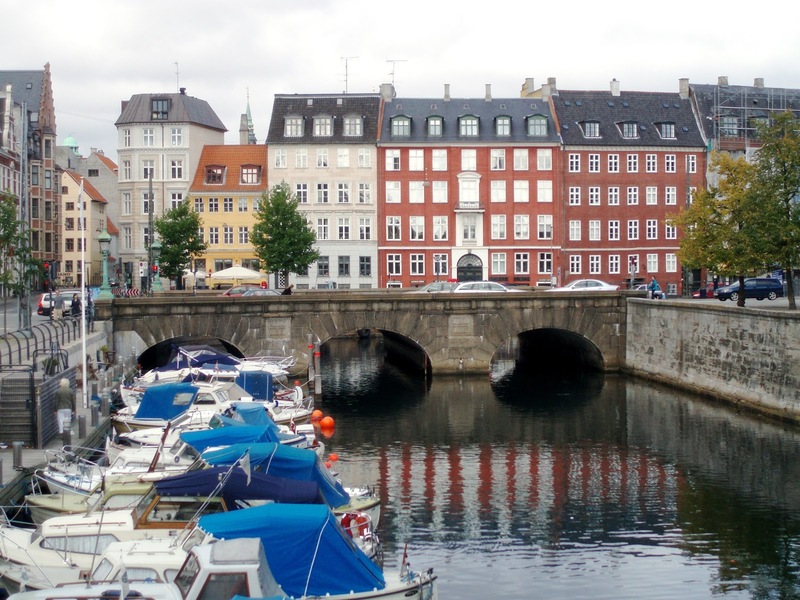 Denmark’s capital city is a true, natural beauty that has, over the centuries, been designed, primped and polished to within an inch of its life. Always on show, and stepping up to the mark as a pretty, chocolate-box-toy-soldier presentation, the city on the water has burst out of its uniform ambience and over the past decade presented a collection of new buildings which have changed the face of the harbour shoreline, canals and through some of the quiet streets. When you think of Denmark, what comes to mind? Hamlet, pastries, a little mermaid, fine china, a certain princess, Vikings, beech forests, Hans Christian Andersen, herrings and very down-to-earth sensible people? All of the above, but what shines the light on modern Denmark, the ancient centre of Scandinavia, is design. Everything in the country, and especially the city of Copenhagen is about excellent design. Whether it’s mediaeval churches, Renaissance castles and country homes, ordered streets and canals, or pretty, colourful harbour-side storied houses of the cities’ that flourished in the ‘golden age’ from 1588-1648, the element of design surprise continues to grow and be embellished to mellow into the 21st century. A leader in industrial design for the last century or so, Danish design conjures names such as Bang and Olufsen (audio and stereo brand), Bodum (coffee chic), Royal Copenhagen (fine china) and Geog Jensen (the famous Danish silverware brand). The essence of the country’s individual design is to be found in its timeless simplicity, quality materials and functionality. 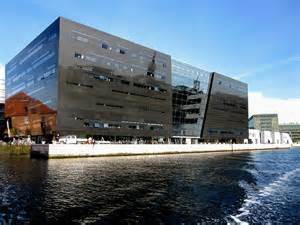 Danish architecture, in Denmark and abroad is a standout on the international architectural scene. And it is often at the centre of public scrutiny and controversy. For example, take one of the world’s most famous buildings, the Sydney Opera House designed by Jorn Utzon. This universally admired building was bankrolled by a public lottery, caused so much dissention within the ranks of the state government in the 1960s that the design was drastically modified, much to the architect’s disappointment at the time. Utzon designed beautiful buildings all over the world and in his own country. In the dock area of Copenhagen, the Paustian furniture store, also Utzon’s brainchild is a place of inspiration. Contained in the stunning building is Denmark’s largest collection of quality furniture and carpets, lighting and accessories and basically the best interior design from Scandinavia and the rest of the world. Perhaps not the best place to pick up some souvenirs but fine for picking up design and decorating ideas. Two newish buildings that have had Copenhagen residents atwitter over the past few years are the amazing Copenhagen Opera House (designed by Henning Larsen), completed and opened in 2004 and the Royal Danish Library (known as the Black Diamond), a looming construction pressing the shoreline and designed by Danish architects Schmidt Hammer Lassen. It is named for its outside cover of black marble and glass. The Black Diamond has a host of detractors and as many admirers. It leans dramatically over the waterfront and reflects the water and light, constantly changing its hue. This extraordinary building is an extension to the 19th century red brick Royal Library. It certainly catches the eye and the imagination as you glide by in the harbour. Best view of these beauties before actually heading indoors to experience Opera and books is to take a canal boat trip and get your bearings of the harbour and all it offers. In fact it’s a lovely way to start your discovery of Copenhagen. In and around town by foot or bicycle you’ll find beautiful old buildings from various eras that undoubtedly caused a stir in their time too. The Ny Carlsberg Glyptotek, a fine art museum is an imposing grand period design standing on Hans Christian Andersen Boulevard. This museum is full of wonderful items including Etruscan art, 19th-century paintings from Denmark and France and many sculptures than span 5000 years. There are a few starts on show here – but two favourites are the work of Paul Gaugain and more than 30 pieces by Rodin. Take a rest from art here and you’ll be having coffee and cake or maybe a meal at a beautiful tropical plant filled winter garden restaurant. 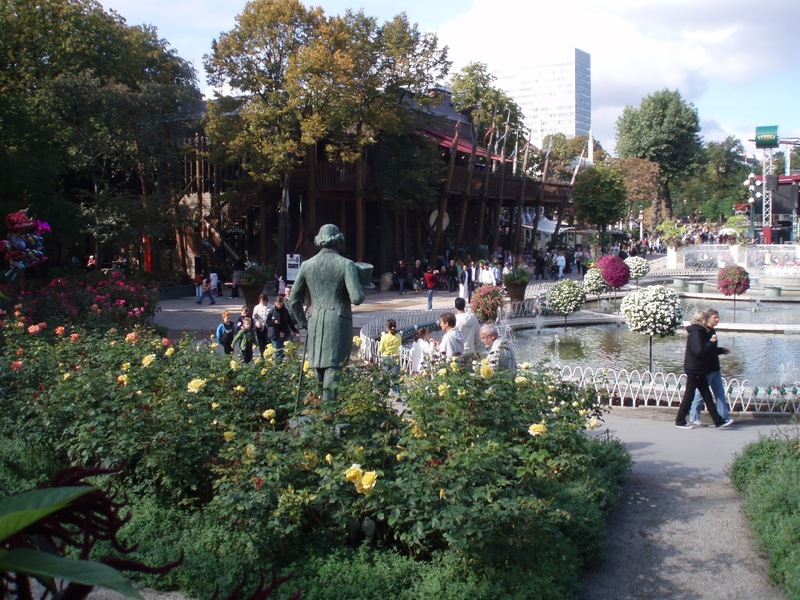 Also one of the oldies but goodies is the famous Tivoli Gardens, an amusement park that has charmed adults and thrilled children for more than 160 years. 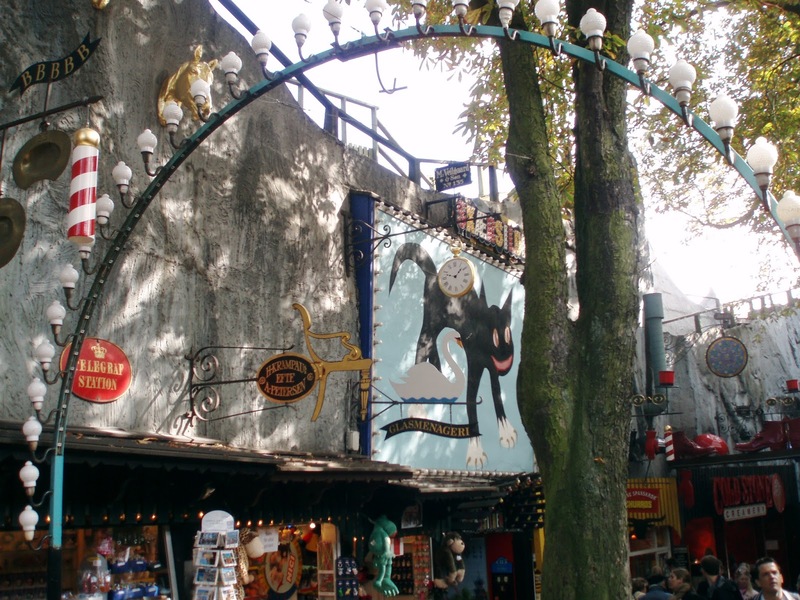 It’s not Luna Park or Disneyland, but an area with old-fashioned gardens, a host of food pavilions and rides galore from the innocent, romantic rides of the past to the modern Demon – a corkscrewing roller coaster and the dead drop Golden Tower. The Tivoli is at its best at night when the magic of lights turn the park into a fairytale enclosure. Kitsch and schmaltz rule the day and from the behaviour of the visitors this is just the atmosphere desired. 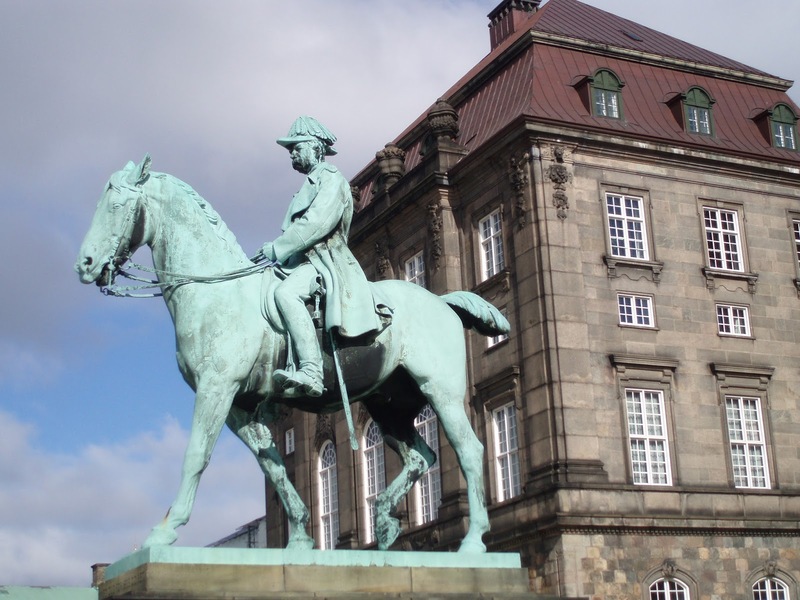 Along the waterfront the Amalienborg Palace is an austere standout as there are four ‘mansions’ in the square making up the one home for the royal family. The buildings surround the centre square and the royal precinct is guarded by sentries. There is a ceremonial changing of the guard at noon daily. 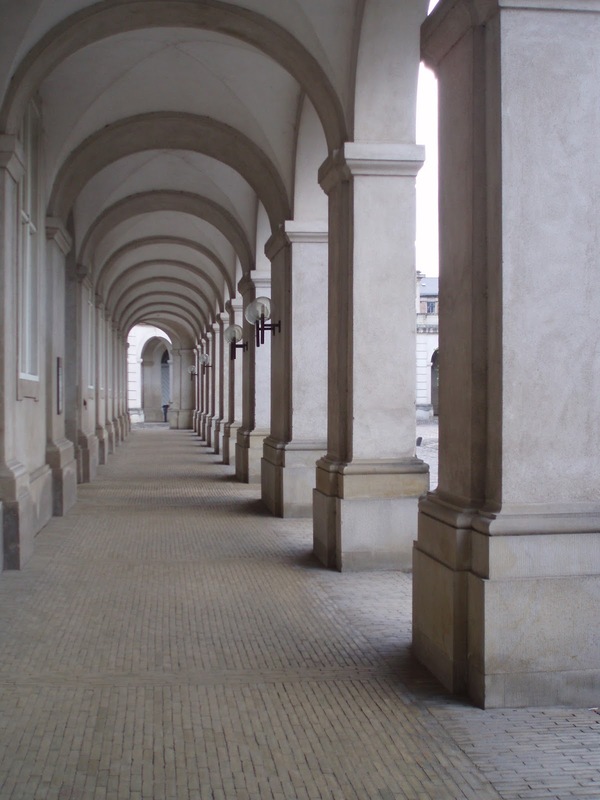 Amalienborg is one of Copenhagen best examples of Baroque architecture ­that didn’t run riot with the curls and swirls. Head inland to view the splendid Frederikskirken, the marble church with its glorious dome that can be seen from all over the city. 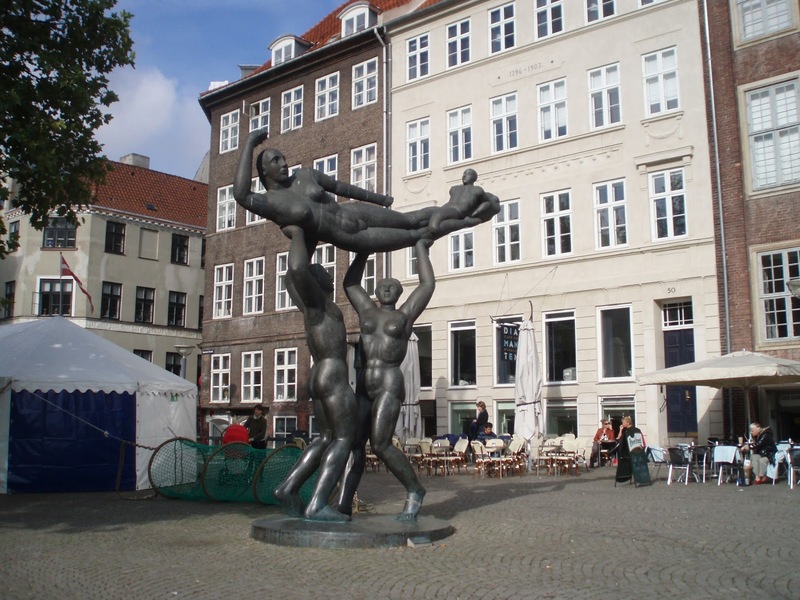 You can’t visit Copenhagen without a thought for Hans Christian Andersen’s Little Mermaid. It’s odd that she sits patiently looking toward the shore and not the harbour, which could take her away from all the attention and fuss. Nostalgia aside it feels disrespectful to see tourists putting their arms around her and invading her tiny space on a rock. 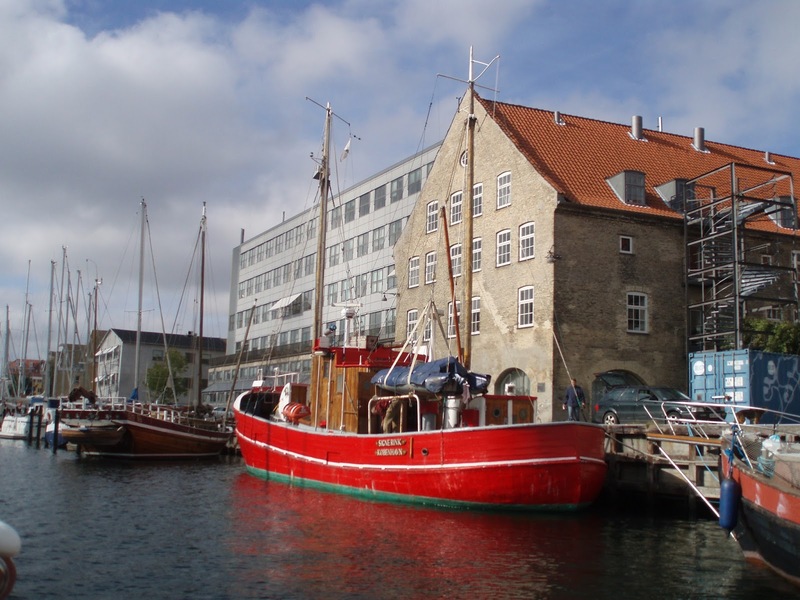 If you still have a hankering for unusual architecture there’s Holmen’s red brick warehouses, barracks and foundries that were built on reclaimed land in the 17th century for the Danish military. Holmen is home to schools specialising in drama, film, architecture and music. For architecture fans the Royal Danish School of Architecture holds regular exhibitions in Meldahis Smedie in Holmen. But brilliant design isn’t just about buildings. Copenhagen’s restaurant and café scene underwent an amazing transformation in the mid nineties. This modern Scandinavian revolution has produced, to mention the tip of the eatery iceberg, Café Victor, Dan Turells, Café Sommersko, Ultimo and Quote. These new and very fabulous eateries and wine bars made their name for their interpretation of Danish cooking as well as their good looks. Window shopping shows the sophisticated design side of fashion, from men’s and women’s clothing to cutting edge shoes and accessories. Homeware shops have so many innovative kitchen implements and interior design items that the best advice you can get before travelling to Copenhagen is to pack your suitcase to half full, then take half out ­ – there’s serious shopping to be done here. There’s good food, great accommodation, excellent transport and activities to keep you going for a week or so, but spare a thought and perhaps your appetite for what is considered by many to be Denmark’s crowning design glory ­– the open-face sandwich. Forget wraps, baps, filled croissants, bagels and foccacia – this is the real Danish deal, cheap and more than cheerful. There are 13 one-Michelin stared restaurants in Copenhagen (Google them) and if you want an amazing, three-starred Miclein meal – book (well before you visit) Geranium or AOC – mad if you don’t! ‘Wonderful, wonderful Copenhagen, friendly old girl of a town’ song written by Frank Loesser for the film Hans Christian Andersen (1952) starring Danny Kaye.